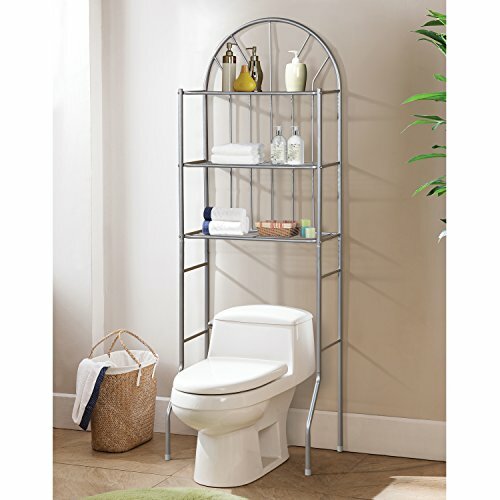 The Home Source 3 shelf bathroom rack in silver makes bathroom storage look stunning. The decorative bath storage unit fits over standard toilets to provide extra storage space. Durable white, powder-coated steel finish. Easy to assemble. Includes 3 wire storage shelves. The Home Source 3 shelf bathroom rack in silver is also available in black and white. If you have any questions about this product by Home Source, contact us by completing and submitting the form below. If you are looking for a specif part number, please include it with your message.